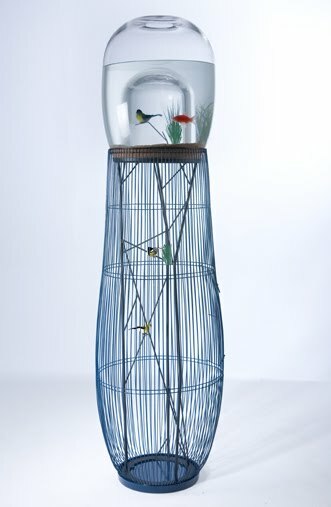 DUPLEX is an acquarium/cage favouring an improbable encounter between a bird and a fish. 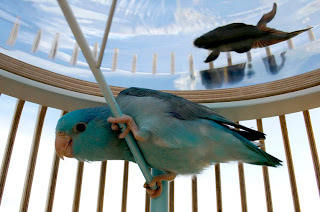 The aquarium is thermoformed so as to create a space where the bird can fly at the same visual level as the fish. A surprising encounter that evokes the impossible fusion between the air and the waterworld.